Nothing was to stay the way it was. In Germany around the year 1900 an entire set of young artists set upon freeing all everyday objects from the hard crust of historicism: from the cradle to the urn, the thimble to the residential home. The artists included Henry van de Velde, Peter Behrens and Richard Riemerschmid and the new art movement soon went by the term “Art Nouveau”. The advertising poster swiftly emerged as a preferred means of expression for the movement. Hanover as one of the most important German industrial cities and home to major companies such as Pelikan, Continental, Hanomag and Bahlsen, was particularly fertile ground for the new art-based advertising. From the September 15, Museum August Kestner is hosting an exhibition of a number of works from this golden age of advertising posters. 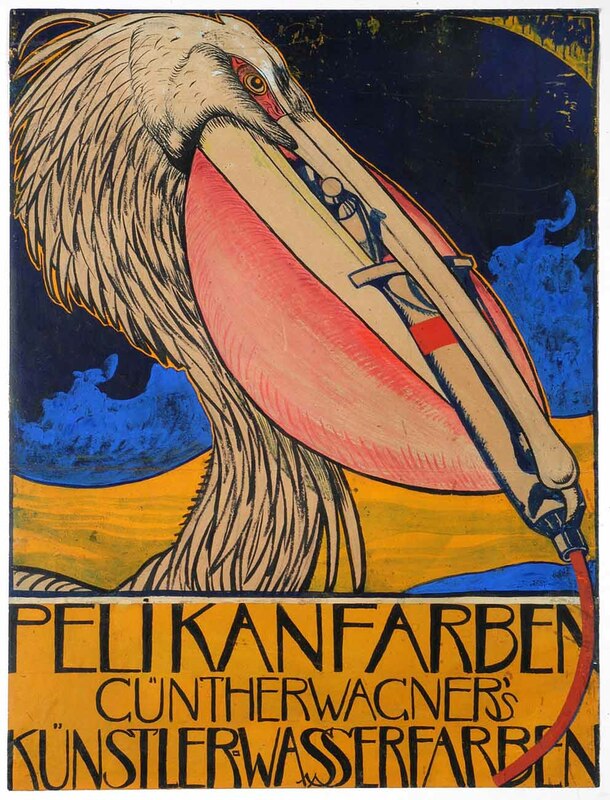 For example, the show presents Julius Diez’ poster for Pelikan from the year 1898, which features a pelican carrying tubes of paint in its beak. 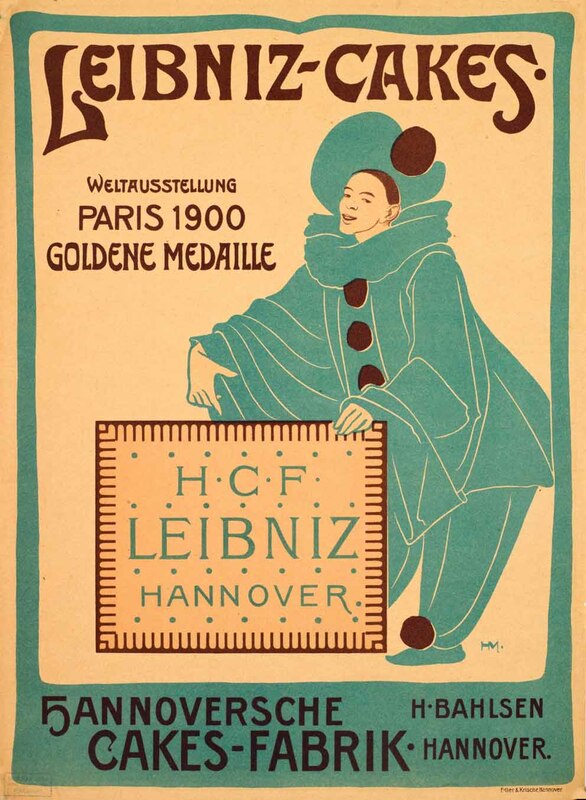 Diez was evidently inspired by Japanese wood cuts when devising his design – this was a cutting-edge trend to be discerned in the work of many Art Deco artists at the time, such as that of renowned Otto Eckmann. 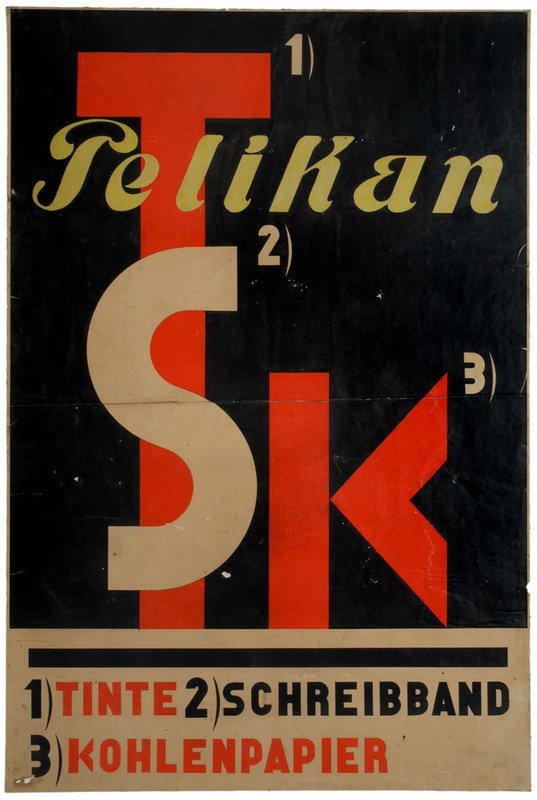 Incidentally, the advertising art of the Pelikan enterprise kept pace with innovative artistic developments after the World War I, too: In the 1920s, no less a man than Soviet Constructivist pioneer El Lissitzky designed posters and packaging for the company. But the exhibition in Hanover not only documents the rise of company advertising, it also shows how the way firms presented themselves as a whole changed at the same time – these were the beginnings of what we now call corporate design. The company architecture was now turned into an advertising medium, whether in a literal sense with the installation of billboards and neon signs, or as the subject of a design for letterheads. Heinrich Bahlsen even planned to erect an entire factory town in a bid to enhance the company’s public image. 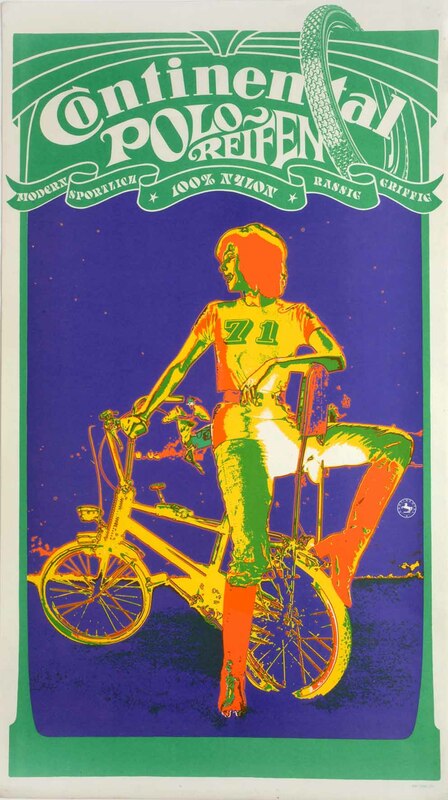 The exhibition at Museum August Kestner showcases the development of advertising art in Hanover through to the year 1970 – in the process also highlighting how advertising has always made use of the latest media available. We now see just how closely related to the art of their time many of these works where – it makes you wonder whether this will be said about the advertising of our time in 100 years, too.